We Shreeji Enterprises are well-known name in the industry for offering an elite range of Cabinet and Kitchen Accessories. 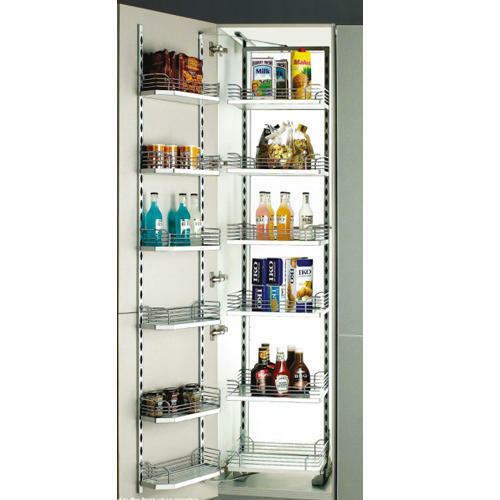 Owing to our well-established allocation network we are capable of offering complete range of Pantry Units, Corner Solution, Kitchen Cabinet Solution, Kitchen Drawer Solution, Rolling Shutters, Kitchen Accessories, Kitchen Hardware, Closet Accessories, Aluminium Profiles, PVC Skirting and PVC Edge Banding Tape. These products are accessible with us in varied options and at industry leading price.